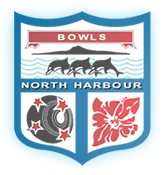 Hello and Welcome to Bowls North Harbour. We hope you find this site interesting and informative. Bowls North Harbour, on behalf of all Members of its affiliated Clubs, wishes to express sincere thanks to all Sponsors for their commitment to our Sport. Without their contribution the events run for Bowls North Harbour Bowlers and services provided to them would not be possible. New members and visitors are always welcome at any of our affiliate clubs. Do get in touch with a Club in your area, if you would like to give bowls a try; if you are looking to join a bowls club for the season or if Lawn Bowls is something you haven't yet given a go.